Before, you have to log in to your accounts, visit the respective report page, and adjust the filters to see the submissions you want to see. This process takes a lot of your busy time. Dive in to check what we built for you. KEEP TRACK OF YOU PROJECT'S STATUS WITH THIS FEATURE! 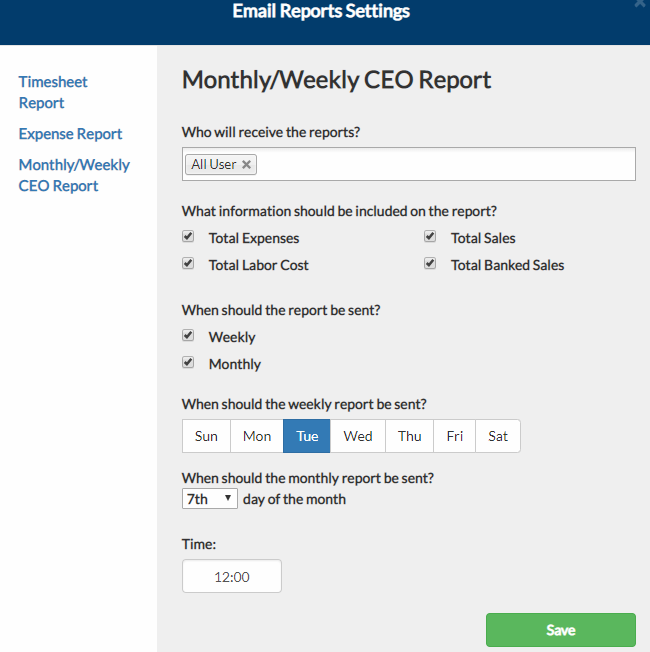 Email Reports will provide you your daily, weekly, and monthly reports of your Timesheet, Expense, or CEO submissions in your portal. Keep informed of your financial status based on the data that you have filled out. 1. 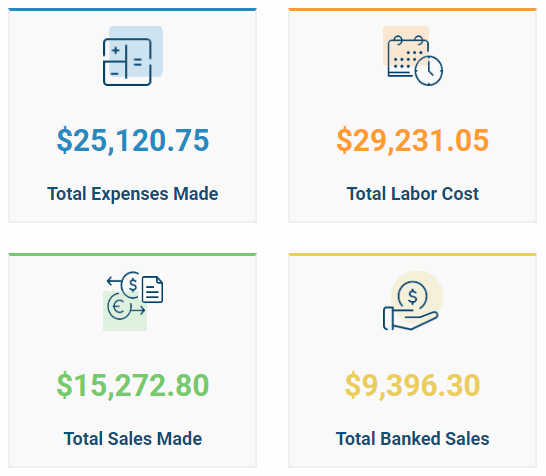 From your projects dashboard, click CEO Report. 2. Click Email Reports Settings. The data you will receive once you've subscribed will be coming from your timesheet form submissions. 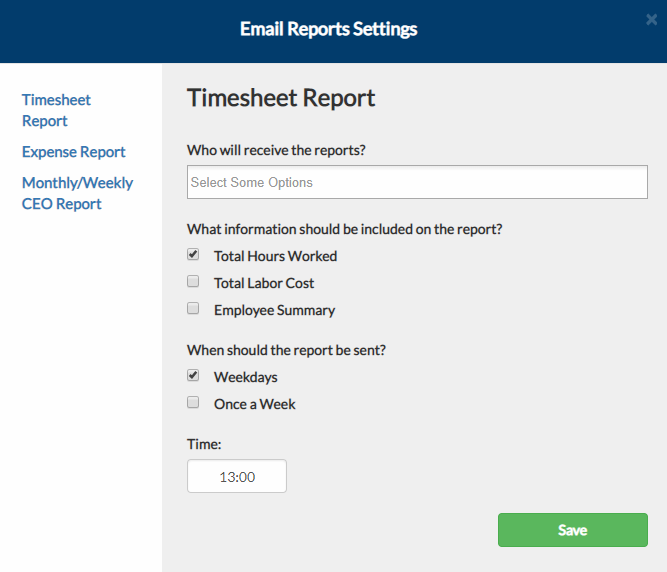 a.1 Select user(s) who will receive the timesheet report on their email(s). a.2 Tick the checkbox(es) of the information that you want to be included in the email report. Total Hours Worked - sum of all the employees' rendered worked hours on a specific period. 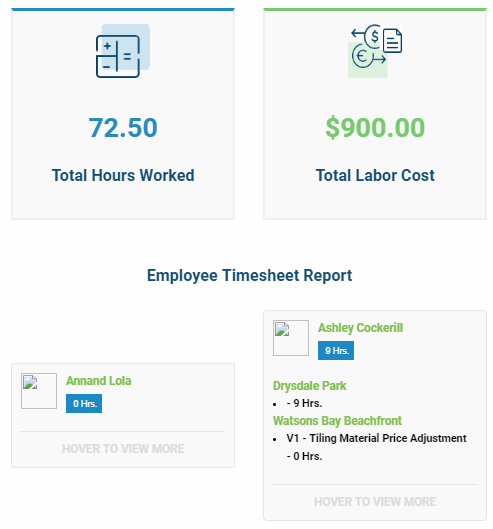 Employee Summary - contains the list of all the employees who submitted the timesheet with the corresponding cost centre and hours. 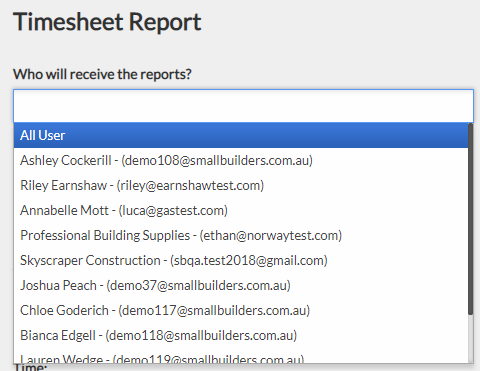 a.3 Tick the checkbox(es) of the days you want to receive the report. 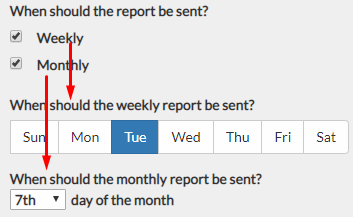 Once a Week - once ticked, select the day when you want to receive the weekly timesheet report (from Sunday to Saturday of the previous week). a.4 Choose what time you will receive the daily and/or weekly timesheet report. a.5 Click Save to apply changes. The data you will receive once you've subscribed will be coming from your expense form submissions. b.1 Select user(s) that will receive the expense report from their email. b.2 Tick the checkbox(es) of the days you want to receive the report. 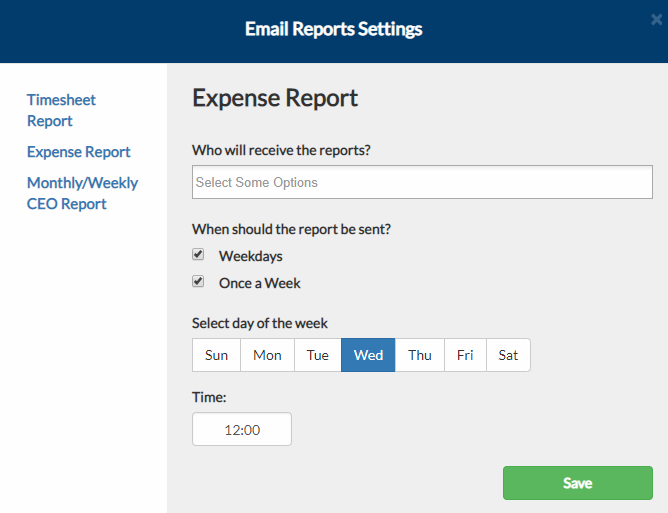 Once a Week - once ticked, select the day when you want to receive the weekly expense report (from Sunday to Saturday of the previous week). b.3 Choose what time you will receive the daily and/or weekly expense report. b.4 Click Save to apply changes. c.1 Select user(s) who will receive the CEO Report on their email(s). c.2 Tick the checkbox(es) of the information that you want to be included in the email report. c.3 Tick the checkbox(es) of the days you want to receive the report. Weekly - once ticked, select the day when you want to receive the weekly ceo report (submissions from Monday to Friday of the previous week). 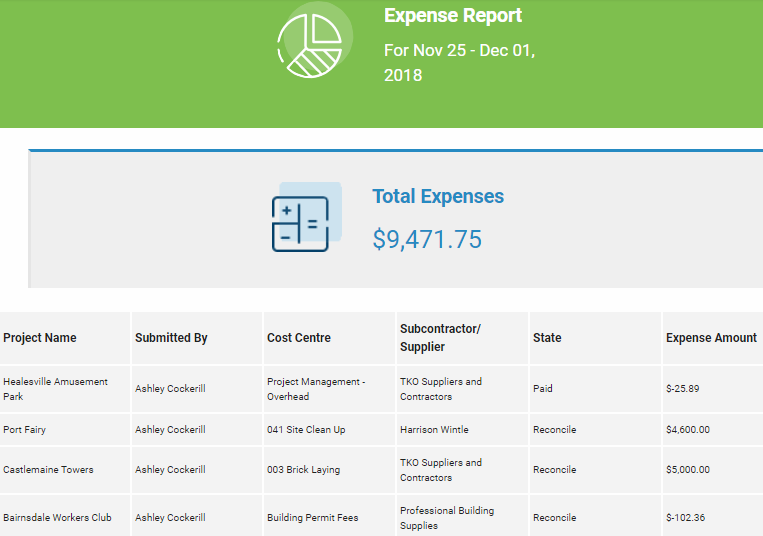 Monthly - once ticked, select the day of the month when you want to receive the monthly expense report (previous month). c.4 Choose what time you will receive the weekly and/or monthly expense report. c.5 Click Save to apply changes.